Planning a wedding can give you sticker shock. When I really sat down and looked at how much my wildest dreams cost, I started rethinking what was actually worth the money. Lucky for me, I’m pretty crafty. So, I came up with a few great ideas to liven up my wedding. You sit down at a table of strangers at your friend’s wedding and have to embark on that awkward introduction. “Hi my name is..” “I’m friends of the Bride/ Groom…” “We met…” It’s basically like having a first date in 30 seconds. Give your guests an ice breaker to kick the night off. After all, this is the biggest party of the year! The I Spy Wedding game is the perfect ice breaker that you can create yourself. The object of the game is to have your guests take photos that your photographer might miss. You can even save a few bucks by printing the lists on your own paper from home. Follow this simple steps to create your perfect I Spy game! What photos do you want to see? – Think about the photos you’ve seen from others weddings that were priceless, moms crying, grandmas dancing, people fighting for the bouquet. Skies the limit! 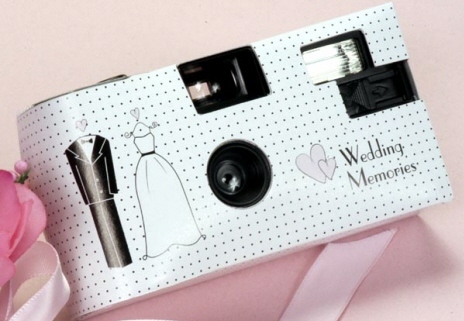 How will your guests capture the moment? – Are you giving your guests cameras to turn in at the end of the night? I am using the Wedding Party App that allows my guests to share all of their photos, even in a photo booth format, privately. That way, the embarrassing photo of your best friend doesn’t go viral. What is the age group of your crowd? – Decide whether your whole reception will receive this game or maybe just the kids table. The tasks can be as simple or as complex as you want. For my I Spy game, I wanted my guests to have fun getting to know each other and actually have to hunt for the images. I didn’t want to keep it too specific in hopes that they would get creative. Here’s an example of an I Spy list I loved.